Sudanese President Omar al-Bashir's party decided Saturday to indefinitely postpone its general convention which was to elect a new chief after the veteran leader handed the party's leadership to his deputy. The general convention of the National Congress Party (NCP), held once in four years, was scheduled for next month but the exact dates had not been announced. "The party's shura council ... decided to indefinitely suspend the holding of the general convention because of the current situation in the country," Mohamed el-Hassan el-Amien, an NCP leader, told reporters. Bashir, who normally attends meetings like the one held Saturday, was not present. 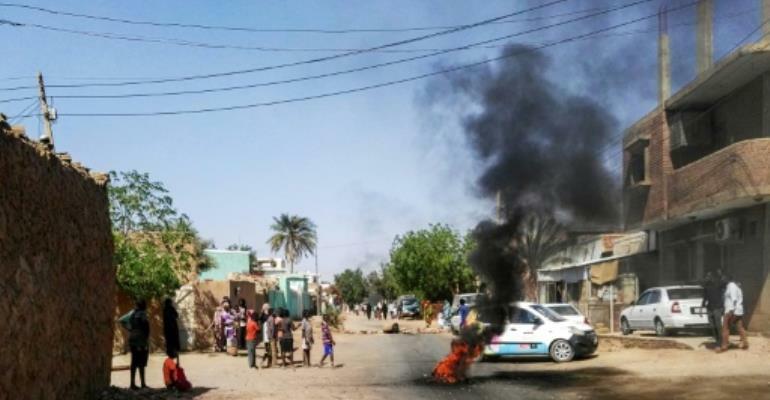 Sudan has been rocked by deadly protests since December, with demonstrators calling for an end to Bashir's rule of three decades. Bashir has remained defiant, and on February 22 imposed a nationwide state of emergency after an initial crackdown failed to quell the protests. But on March 1 he handed his powers as head of NCP to his deputy, Ahmed Harun, making him acting chief until the general convention, where a new president of NCP was to be elected. Sudan is scheduled to hold its next presidential election in 2020, and according to the charter of NCP, the chief of the party becomes its candidate in the election. The NCP was formed a few years after Bashir swept to power in an Islamist-backed coup in 1989, and he had been party chief up until this month. Protesters continue to stage regular demonstrations that first erupted on December 19 after a government decision to triple the price of bread. The protests swiftly turned into nationwide rallies against Bashir's government, accusing it of mismanaging the country's economy. Officials say 31 people have died in protest-related violence, but Human Rights Watch has put the death toll at 51.